Why do I need to renew my computer’s IP Address? If you are having difficulty in connecting to the network, you may not be getting a valid IP Address from your router. One such instance is when you are getting a self-assigned IP Address such as an IP Address that starts with 169 (e.g. 169.254.x.x). 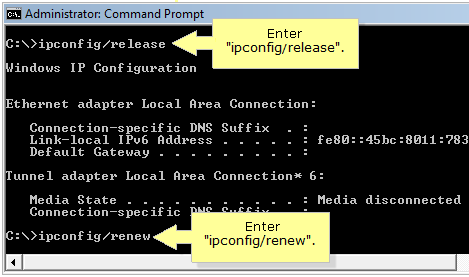 Renewing the IP Address will allow your computer to request a new IP Address from a DHCP server such as a router. You have to release your current IP Address so you will be able to get a new one. NOTE: Before renewing your IP Address, make sure that your computer is connected to the router either wired or wirelessly. 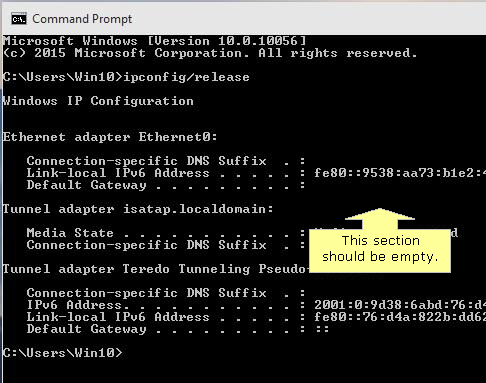 In the Command Prompt, enter “ipconfig/release” then press [Enter] to release your computer’s current IP Address. 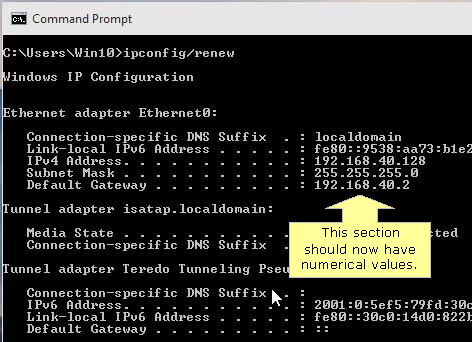 You will see that the Ethernet adapter section is now void of numerical values. 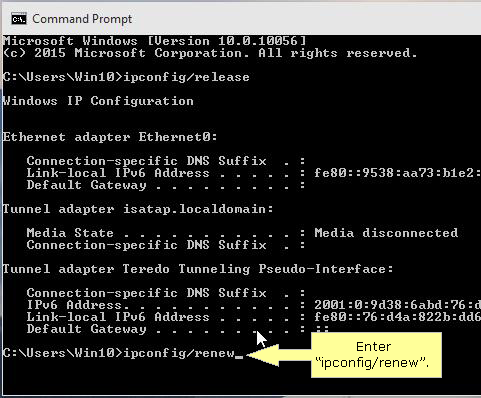 Enter “ipconfig/renew” then press [Enter] to renew your computer’s IP Address. 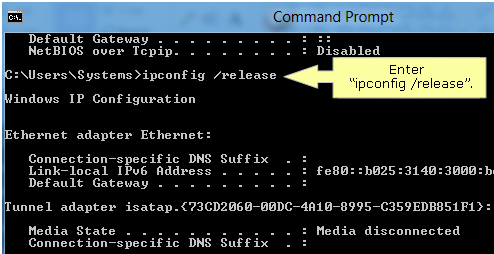 In the Command Prompt, enter “ipconfig /release” then press [Enter] to release your computer’s current IP Address. 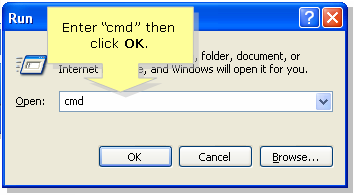 Enter “ipconfig /renew” then press [Enter] to renew your computer’s IP Address. 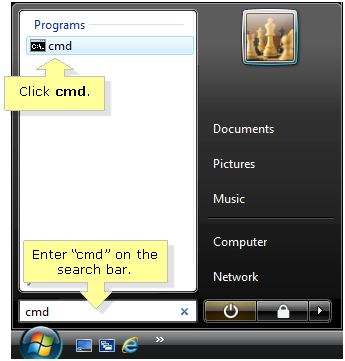 Click the Pearl button, enter “cmd” on the Search bar, then click the cmd result. 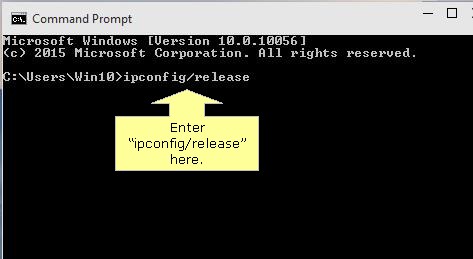 On the command prompt, enter “ipconfig/release” then press [Enter]. 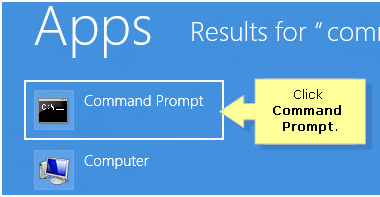 Enter “ipconfig/renew” and press [Enter] again. 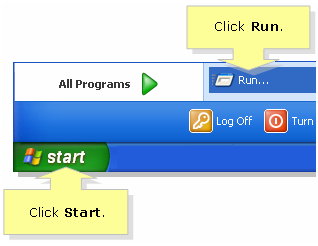 Click Start > Run. 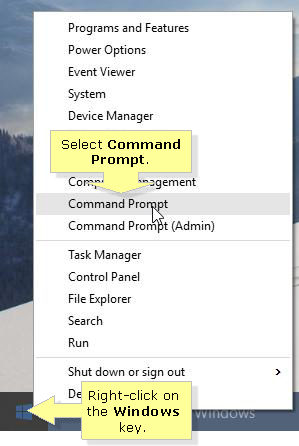 In the Run window, enter “cmd” then click OK.
On the command prompt, enter “ipconfig/release” then press [Enter]. 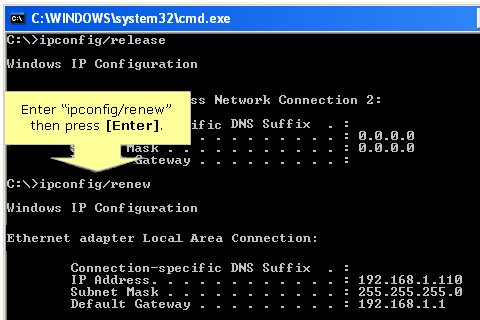 Once the IP Address becomes 0.0.0.0, enter “ipconfig/renew” then press [Enter]. If you’re having trouble renewing the IP Address, check the computer’s connection to the Internet by opening up a new website or doing a ping test. To know how, click here. After renewing your computer's IP Address and ensuring active Internet connection, you can now connect other wireless devices to the network. Wireless mobile phones and gaming consoles are very easy to configure as long as you know the wireless settings of your router. Click on the corresponding links below for detailed instructions.